The Flora pendant from Sarah Thompson’s gorgeous book Woven in Wire is a great project to hone your symmetry skills when creating wire jewelry. With step-by-step guidance and fully-illustrated instructions, you’ll have all the help you need to make this beautiful design. Sarah breaks the project up into two parts, making it easier to integrate the layers while also maintaining the symmetry. The final detail added is the pearl dangle for just the right touch. 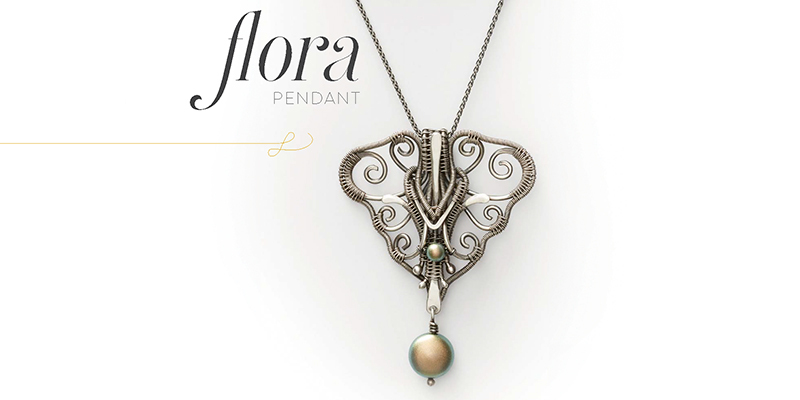 The Flora pendant’s whimsical swirls make this a statement necklace. 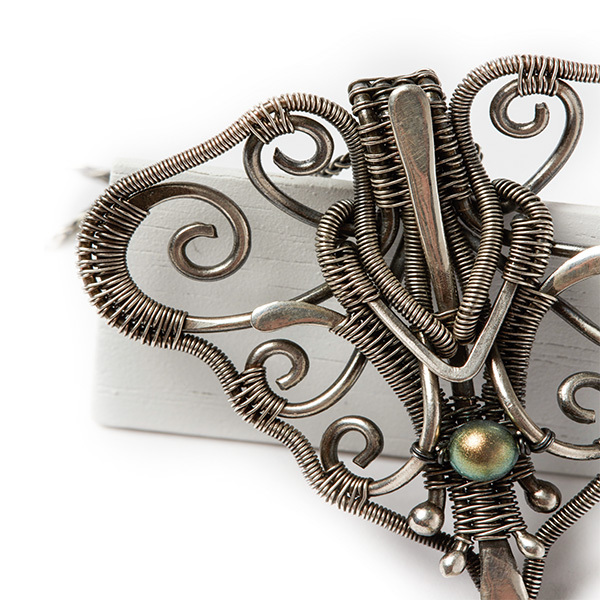 You’ll love how the weaving really stands out in this wire jewelry design. From the modified Soumak weave on the simple bail to the lovely pearls for a subtle touch of elegance, it’s a piece that is as enjoyable to make as it is to wear. Pendant shown measures 2” x 1-7/8” long. 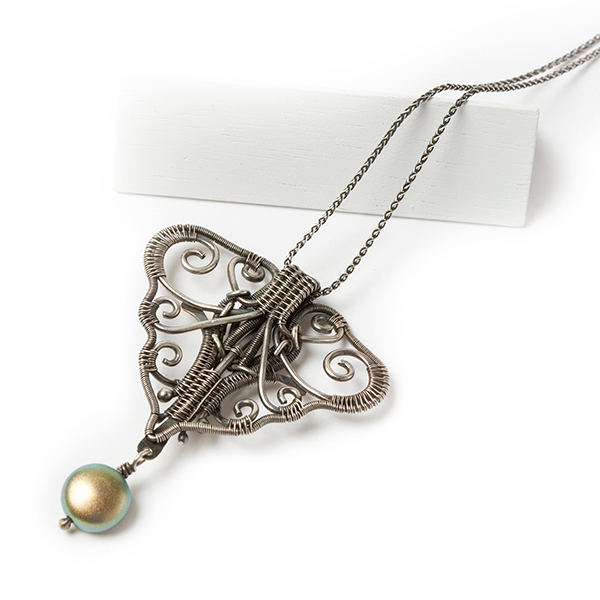 Show off your unique woven wire jewelry style with the Flora pendant from Woven in Wire! 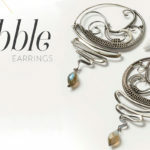 Find this and other wonderful woven wire jewelry projects in Woven in Wire!